Once, Durthu was benevolent. It was he, the eldest of the Treeman Ancients that first bound the spirits of the forest with the Children of Isha. 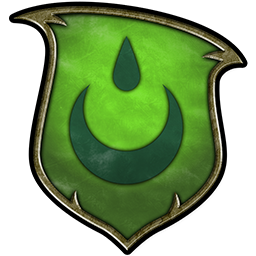 For many seasons, the alliance was considered a good thing; the forest flourished and the Worldroots seeped deep underneath the land. Then, he bore witness to the rapacity of blooded life. He saw untold acres of trees felled and the Elves themselves invite countless calamities not only on their race, but on the greater forest realms as well. Now Durthu's patience has gone, replaced by anger and madness. Once a healer, now he is wrathful, making no distinction between the lost, the innocent and the wicked. The Elves are spared the Ancient's anger… for now at least, but he no longer considers them friends, only allies for common cause. And yet there are many foes wishing to trespass under the boughs of Athel Loren, forcing the ancient Treeman to fight with the Asrai, who respect Durthu still, even if he no longer cares for them.